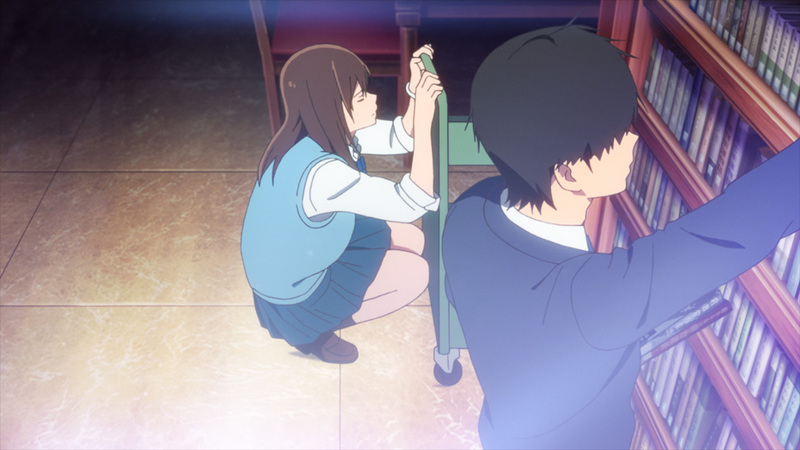 I Want to Eat Your Pancreas is one of the most beautiful films I have seen in a long time. Based off of the Manga By Yoru Sumino, the film is one of heartbreaking truth. This is the most important anime you will see all year. As you can tell from the title the main character, Sakura has an unspecified terminal pancreatic illness and not long to live. She meets a boy she finds intriguing and by chance he picks up her diary titled “Living with Dying” which she accidentally leaves behind at the doctors office. He begins reading only to find out she is sick but also going to die. She asks him not to tell anyone because no one else knows, not even her closest friend Kyoko. Though the two seem completely opposite they begin to hang out with each other. First he is quite standoffish. He comes from a world where he has closed himself off from other people. 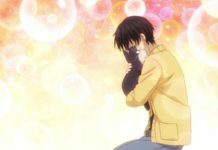 He has turned to books for comfort and is lost in his own world so when Sakura explodes into his life unexpectedly like she does he is unsure of how to proceed. Her exuberance for life and appreciation of every encounter she experiences teach him things that he had once guarded himself against. The relationship that the two form is unique. Built on honesty and trust the two begin to depend on each other without even realizing it. He begins to become her rock and she becomes his admiration. They each aspire to be like one another and that makes their connection even more powerful. Sakura’s enthusiasm is contagious and it is not long before they have changed each other through their friendship. This is definitely a movie that you will want to watch. Seeing the character development and how the two effect each other is something to behold. 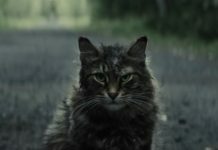 The movie has a lot to do with not only coping with someone who is sick, but also learning to relate to other people and opening yourself up even when you know you can get hurt. When you are watching the film at first you think that this will be all about Sakura. Later you begin to realize that this is both of their stories. It’s hard to even find the words to describe what the feelings are that you get while watching this. Sadness, Happiness, all of the above really. No matter which way you slice it you will end up needing a full box of tissues for this one. The voice acting from Robbie Daymond and Erika Harlacher is heartfelt and you can tell they each really put their all into these roles. I think that Daymond did an amazing job with the character who we can only refer to as “Me”. Hearing how he spoke throughout the film, at first standoffish and then molding into someone so much more. If felt like he really connected with the character on a level deeper than just an acting role. Erika who I first recognized from her voice work in Violet Evergarden, made it easy to love Sakura. She was so positive and her emotional tones matched the characters expressions perfectly. The whole cast did an amazing job. Sakura’s friend Kyoko played by Kira Buckland, Takahiro played by Kyle McCarley, “Gum boy” played by Khoi Dao, “My Father” played by Patrick Seitz, and Sakura’s Mother played by Dorah Fine all did amazing jobs on their performances. In particular it was difficult to hear Sakura’s mother in this movie. Dorah Fine did such an amazing job portraying a mother who’s dealing with her daughter’s illness and then death that I couldn’t help but cry when I heard her speak. Visually the movie is outstanding. Everything from shading to expression. Scenery, Character design, there really isn’t any flaw in it. The lighting and color pallets are absolutely gorgeous. Studio VOLN did a fantastic job with this. 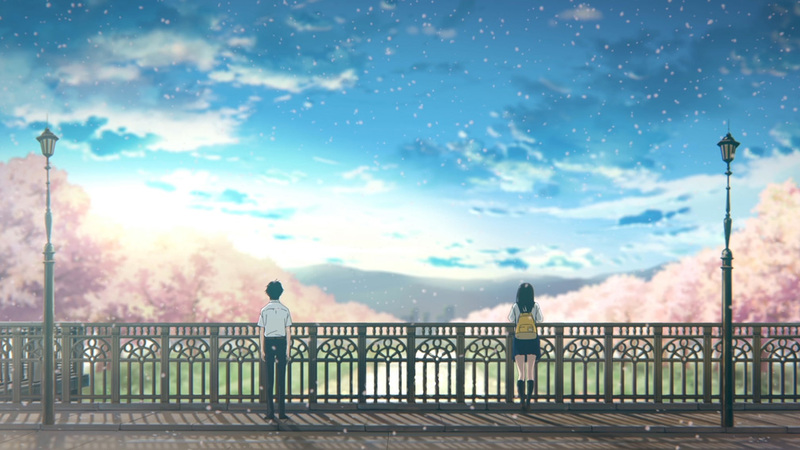 I Want to Eat Your Pancreas is not only a great movie about life and death but has also partnered with the National Pancreas Foundation, building bridges between two very different worlds. When you see this in theaters you will not only have the opportunity to see behind the scenes for the making of the dub and exclusive footage from Japan, but will also be informed on the pancreas and information about the National Pancreas Foundation and the services they offer. The Subtitled release will be showing in theaters February 7th and the Dubbed version will be showing February 10th. 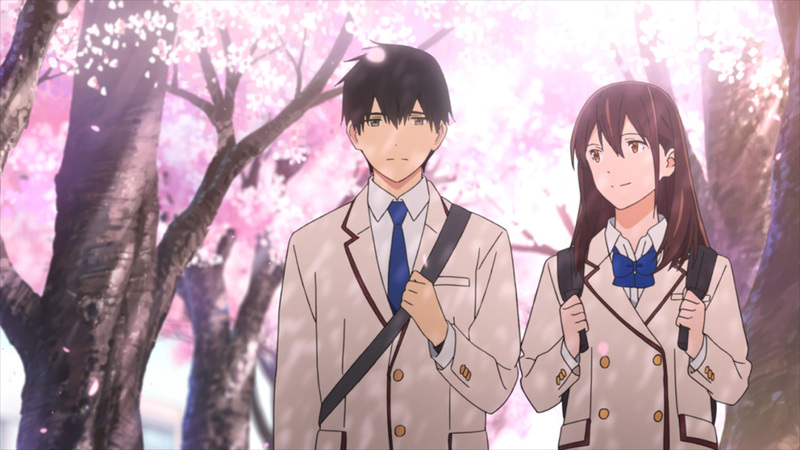 I Want to Eat Your Pancreas is an emotional ride that you definitely need to take. Your Name has nothing on this movie. If you enjoy anime like Your Lie in April, Violet Evergarden, or Say I Love You you will love this film as well. It’s good for dates and good to see solo. Just make sure you bring chocolates and that box of tissue I mentioned earlier. 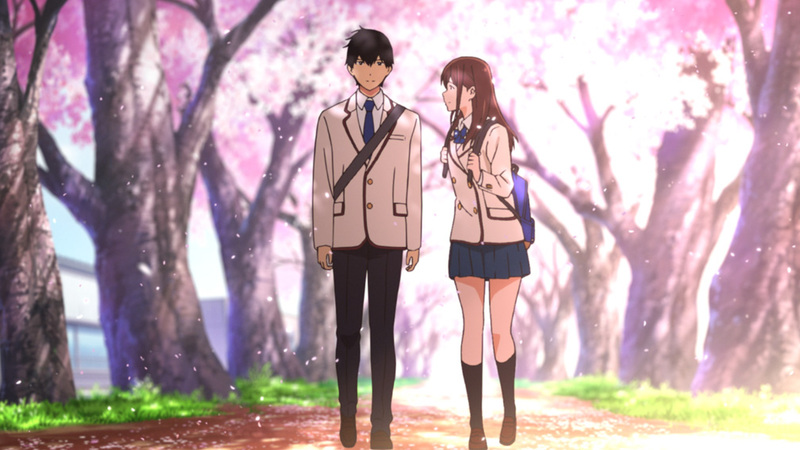 Is I Want to Eat Your Pancreas a movie that you would like to see? Tell us in the comments!